Autumn is the perfect season for experimenting with soups and stews -- a wide variety of fresh produce is still available and your options are virtually limitless! 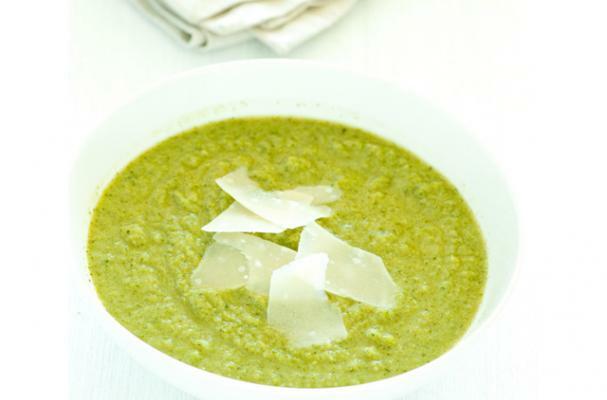 From sophisticated starters and simple sides to easy entrees and marvelous meals, a good soup is surprisingly versatile. Whether you're looking for a quick fix, make-ahead meal or Thanksgiving starter/side dish, these soups will have you drooling on your keyboard! So ladies and gentlemen, start your stoves - it's soup time! All of these recipes are vegan/vegetarian, gluten free and milk/dairy free - happy Meatless Monday! With creamy cauliflower and balsamic vinegar, this surprising soup is perfect for a hearty lunch or light supper -- not to mention entertaining! Seriously, this recipe couldn't be any easier! With 5 ingredients (including water! ), this insanely easy soup is equally filling and delicious. The garlic + broccoli one seems delicious, can't wait to try it!